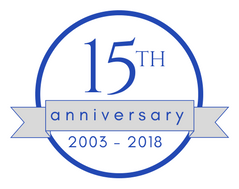 Check past meeting and events! Non-members of NAPO-CT are welcome to attend our meetings as a guest. The guest fee is $25 per meeting. 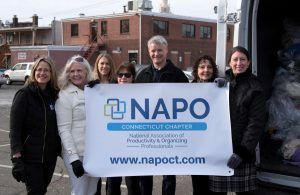 Guests may attend two (2) meetings prior to joining NAPO national and NAPO-CT.
NAPO-CT is an affiliate chapter of NAPO and national membership is a requirement prior to joining the chapter. For NAPO-CT membership information, please email membership@napoct.com. If you would like to attend a chapter meeting, click HERE to RSVP. NAPO-CT meetings are held in the Town of Hamden, CT. When Hamden schools are closed due to bad weather, our meeting will be canceled. However, if Hamden Schools are delayed due to bad weather, our meeting will begin at 10:00am and end at noon. Please check local radio and television stations for updated news. NAPO-CT uses photographs of meetings and sponsored events in its promotional materials. Unless this permission is revoked in writing to the President of NAPO-CT, by virtue of your attendance you agree to the use of any photos obtained. CLICK HERE to submit your request to be a speaker at one of our monthly meetings.